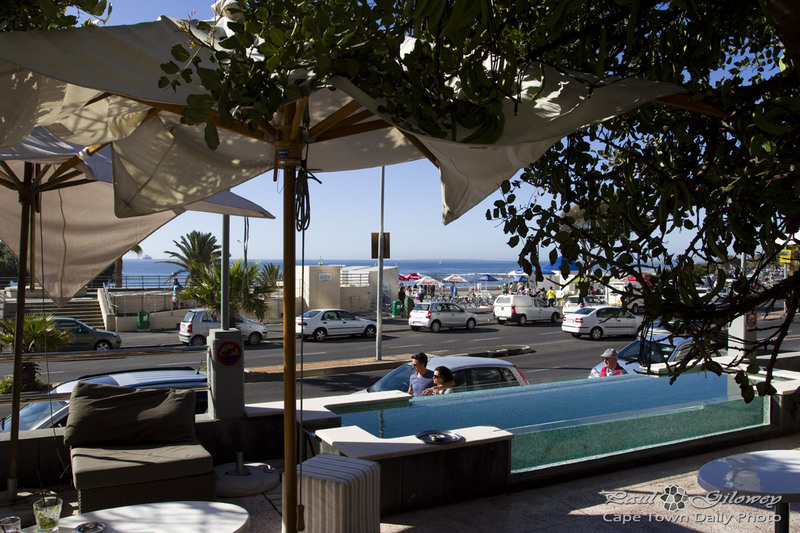 After hearing great reviews, Kerry-Anne and I visited La Perla on Sea Point's Beach Road for the first time. It was, sadly, pretty disappointing. The service was good, but the food wasn't up to scratch. The Lasagne I had was mediocre at best and Kerry-Anne's chicken dish was, well, also just mediocre. La Perla is locally fairly well acclaimed - and assuming that our dishes were the norm, I can only imagine that folk like the restaurant for it's location and atmosphere. It's probably one of the nicest venues on Sea Point beach road, and the atmosphere is an interesting mixture of hip and young with classically stylish, and although La Perla appeared snooty from the outside (can a restaurant appear snooty? ), the staff were surprisingly warm and welcoming. Definitely visit La Perla for afternoon drinks, but I'd probably choose an alternative restaurant for lunch or dinner. Posted in General and tagged restaurants, sea point on Friday, 20 December, 2013 by Paul.